Attack on Titan 2 review code supplied by the publisher. When the first Attack on Titan game released on PS4 nearly two years ago, we praised it for being an action-packed and well-presented take on the popular anime that fans of the property would undoubtedly enjoy, and that more than anything else, it stood as one of the best products to come out of long-time Musou developer Omega Force in quite some time. 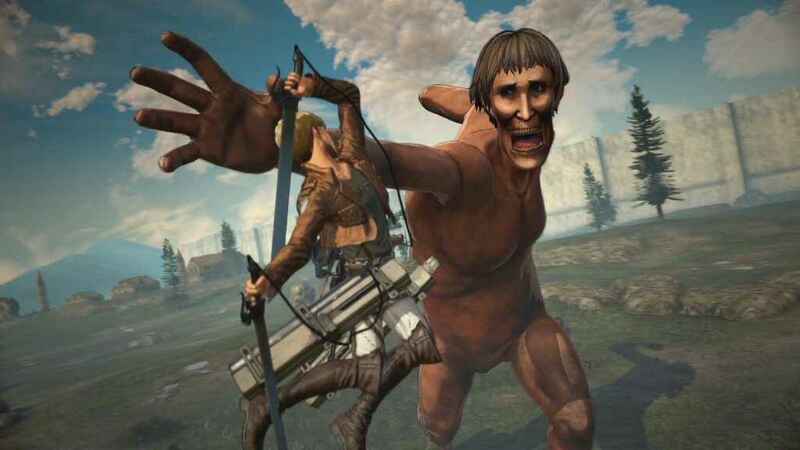 In 2018 the second Attack on Titan title has now arrived, and though the appeal of the hyper-kinetic viscera seen in the first game has been dulled a touch by the passage of time, Attack on Titan 2 nonetheless packs in enough new content and features that fans of the both the show and the original game will find much to love here. Arguably, the biggest departure that Attack on Titan 2 makes from its predecessor is in how it handles the story campaign. No longer cast as any of the series protagonists, Attack on Titan 2 instead puts players in the shoes of a mysterious outsider observing and participating in events alongside the main cast of the show. Far from relegating participants as a faceless side act, developer Omega Force has instead made the most of this odd scenario, providing players with an extensive character generation function that allows for a unique in-game avatar that in turn has a compelling and entertaining perspective on the events depicted by the story campaign. Attack on Titan 2’s new branching dialogue system is much deeper than it first seems. Speaking of those events, Attack on Titan 2 begins during the early parts of the first season of the anime, (your character begins in the same district as Eren, Mikasa and Armin), and chronicles everything right up to the end of season two. Now, while you might assume that being a character who doesn’t figure into the anime or the manga canon might make you a fifth wheel of sorts, this couldn’t be further from the truth as series creator Hajime Isayama has interwoven the player character into the events of the anime narrative, all the while expanding the story in new and unexpected directions. Further improving the connection that players have with Attack on Titan 2’s story campaign is the friendship system that the game employs. 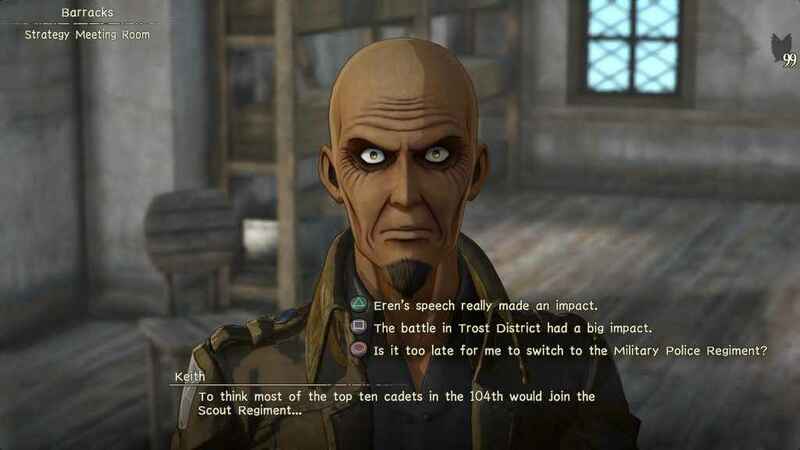 In-between the combat sections of Attack on Titan 2, players can take part in ‘Town Life’ segments, where they can walk around camp and speak to a number of their fellow teammates. More than just idle chatter, the branching dialogue system that Attack on Titan 2 leverages directly affects a friendship rating for each character, which when improved with certain individuals, unlocks special skills and abilities that the player can then use in combat. As such, this new friendship and conversation system stands as one of the better improvements that Attack on Titan 2 boasts over its predecessor. Make no mistake, the combat in Attack of Titan 2 is as thrilling as it ever was. As to the nitty gritty of how the missions play out in Attack on Titan 2, fans of both the series and the previous game will be enthused to know that rather than re-invent the wheel with its sophomore outing, Omega Force have instead merely tweaked the already robust foundations that the developer had lain with the first Attack on Titan game back in 2016. What this means is that you’ll still be effortlessly swinging around the map, slicing off Titan limbs, building bases, directing your teammates in combat and pulling off those super satisfying Titan kills, the tweaks that Omega Force have made however, are most certainly for the better. 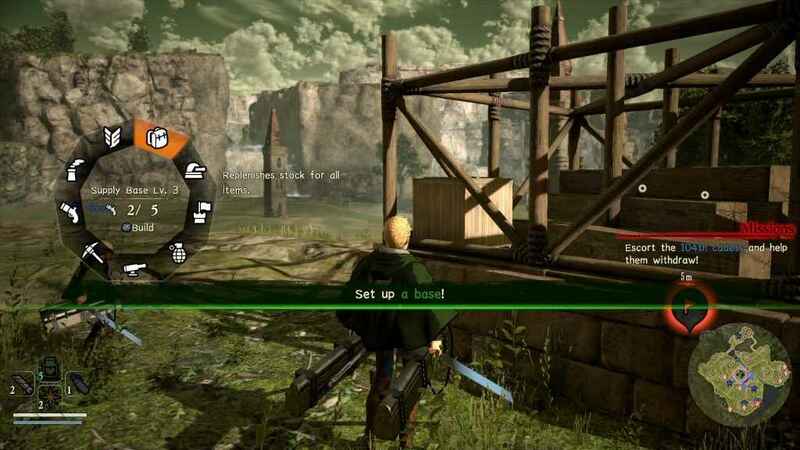 For a start, Attack on Titan 2 now employs a shiny new detection system whereupon it’s now entirely possible sneak up on the towering cannibals and execute a long-range stealth attack where you rush towards the Titan in question at super speed, and which if timed correctly, can result in a massively damaging attack that either leaves their health bar in tatters, or, kills them outright. Another nice tweak that the developers have made to the combat is the manner in which the Titans themselves behave. Now a great deal more dynamic, agile and aggressive, the colossal fiends in Attack on Titan 2 no longer just plod around the map but can instead now charge at you with deceptive speed and aggression, and thus end up presenting a real challenge in the process. 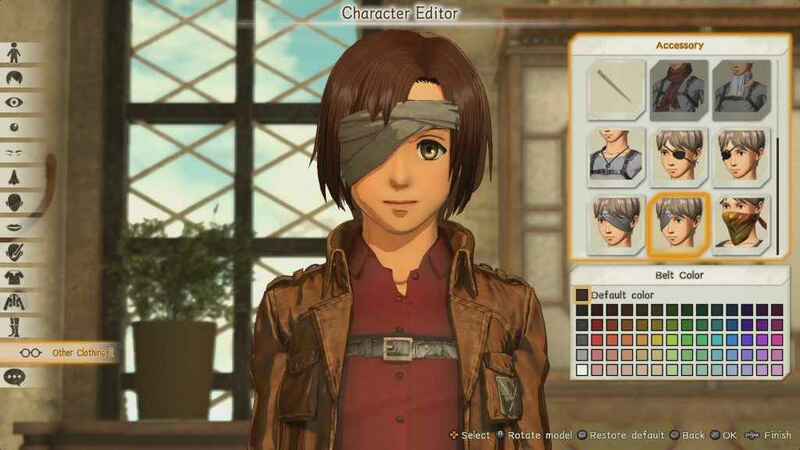 From hair and body types, though to clothing, skin and eye colour to name just a few, it's impressive just how in-depth the character editor is in Attack on Titan 2. Another new feature that Attack on Titan 2 brings to the table is the ability to restrain and capture Titans. More than just a measure to subjugate them, captured Titans can be brought back to headquarters and experimented on, with the end result being the discovery of new elements and materials that in turn allow you to craft much more powerful equipment as a result. Sadly, though the combat in Attack on Titan 2 is rarely anything less than thrilling, and being able to tackle the Titans is more straightforward and accessible than ever before, it’s clear that there are some aspects of it which haven’t been given the same care and attention as the aforementioned set of tweaks and features. Firstly, the framerate that Attack on Titan 2 has is clearly unlocked, which means that it’ll be running smoothly most of the time, but when there’s a bunch of Titans on screen, stomping through buildings and causing havoc, the framerate can take a momentary dive into the low 20 fps range which obviously doesn’t lend itself to a terribly responsive experience and is far from ideal – even on PS4 Pro. Success in Attack on Titan 2 is earned as much by strategic placement of resources and defences as it is by white-knuckle acrobatic combat. Another problem is that Attack on Titan 2 reuses so many assets from the first game that at a glance it’s difficult to know whether you’re looking at this year’s game, or, the original Attack on Titan game from back in 2016. Regardless, it’s clear that in the intervening 18 or so months since the release of the first Attack on Titan that the visuals really haven’t evolved at all, which is crying shame given just how enduringly attractive the art style is. Here’s hoping that the next Attack on Titan title boasts some truly bespoke leaps in visual quality that properly takes advantage of the PS4 Pro hardware. Extending the appeal of Attack on Titan 2 yet further however, is the fact that the entirety of its story campaign can be played co-operatively online (along with the additional skirmish style Scout Missions); the thrill of taking a friend on a mission as you both boost and swing around the city, taking down Titans and teaming up on bosses, proving to be a substantial one indeed that shouldn’t be overlooked. Likewise, having an additional player along for the ride in the campaign also helps the pair of you out when it comes to fashioning new gear, as the component cost to do so is much less than it would be if you were to construct equipment by yourself. Beyond the trappings of the story campaign, Attack on Titan 2 provides additional modes for players to sink their teeth into. The cheekily titled ‘Another Mode’ for example, lets players experience a series of custom scenarios designed by series creator Hajime Isayama, as their character interacts with cast members from both seasons of the TV show as they take them out on special missions, research unique Titan materials and more besides. It’s a great little mode that does a grand job of extending the solo Attack on Titan 2 experience long after the credits have rolled on the story campaign. For players looking for something a little more competitive however, the new Annihilation Mode could be just the ticket, as it places players into two teams of four with the victory coming to the team that scores the most Titan kills. Granted, it’s nothing massively groundbreaking or original, but Annihilation stands as a nice distraction from the story campaign all the same. In the end, Attack on Titan 2 confirms that the license remains one of Omega Force's best properties and this latest entry in the series proves to be no exception. By playing the part, looking the part and packing in a Titan’s worth of new features and tweaks, fans of both the show and the previous game will find little reason to keep Attack on Titan 2 off their collective radars. 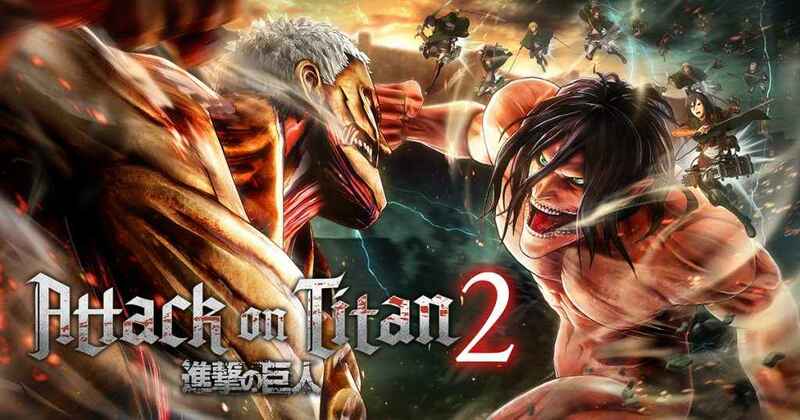 Attack on Titan 2 is a thoughtful and often exhilarating sequel which fans of both the manga and anime will thoroughly enjoy.